I am a husband to one and a father to three. I live outside of Richmond, Va, where I get to help gather people together and send people out into the community to love in the way of Jesus. Week of Silence Day 7: My First Words…. So my week of silence has come to an end. For Zechariah, 9 months of silence ends with the cries of His newborn baby boy. He began this silence with the words, “how can I be sure of this?” A kind of “what-you-talkin-bout-Willis” response to the Angel of God. But he ends his silence, filled with the joy of a Father, who through no goodness of his own, received a gift, and this gift would prepare the way for Jesus, and the world would never be the same….I will never be the same. Week of Silence Day 6: It’s like that Christmas Movie…. Pick one….most of them follow the same story line: It’s A Wonderful Life, The Grinch, A Christmas Carol, Home Alone. 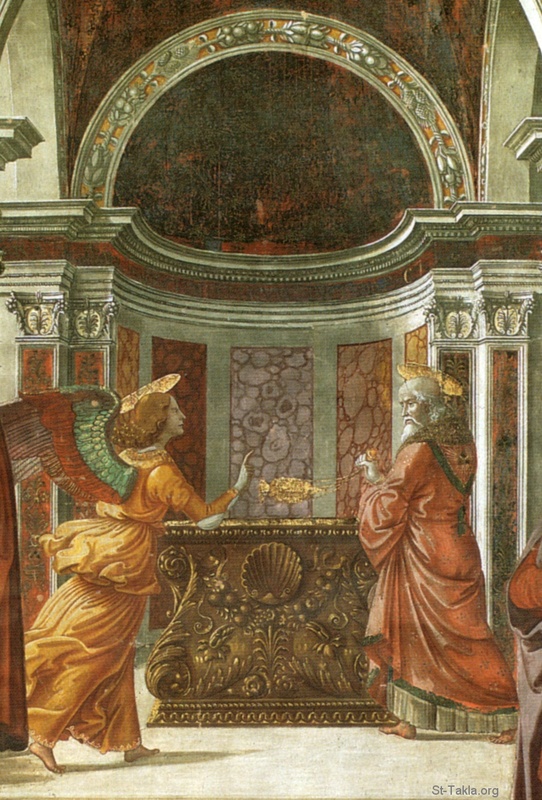 Zechariah walked in to the temple 9 months earlier, performing His Priestly duties. Years of experience had determined what he should expect during his time in the temple. But surely God was in that place, and he was not aware of it. But nothing was routine that day, from the Angel to the words of promise. His final words that day were one of doubt, words that begged for clarification, for verification. 9 Months later, his Wife was about to deliver their one and only child. Zechariah was determined to make sure his first words were not a continuation of his last. Things would be different now. So what do you say when you finally have a chance to say it? This is our question as well. What has changed in our lives? What will be different? What will we choose to do with our words, either be speaking or by remaining silent. Oh that we should be trusted with such power as the power of human words; The power to rebuild or to destroy; power to bless or to curse; to bring justice and hope and love and healing and forgiveness. This is no ordinary gift. So Zechariah walks out of the temple, down the steps, to greet a few anxious people now waiting for him, wondering what has taken so long. He has encountered the messenger of God, sent to tell Him that the shame He and Elizabeth once endured, is now over. God was beginning a new work, and their Son would prepare the way. His response to that announcement is the reason he will be silent for the next nine months. Strange how the hardship of being unable to speak is at the same time a reminder of God’s power and faithfulness. That somehow the consequence for unbelief will daily point Zechariah to the arrival of their first Child, and to the God who has mercy and hears the prayers of the hopeless. Could it be that consequences, or hardships, or unwelcome life experiences, can be both corrective and redemptive — and that both can actually point to the Love of God? I wonder how those months of silence, shaped the way Zechariah raised John the Baptist. I wonder if the humility that comes with silent living, can be found in His Son, John, when he said, “I baptize you with water. But one who is more powerful than I will come, the straps of whose sandals I am not worthy to untie (Luke 3). Listening. There is nothing passive about listening. In fact, it’s one of the most active ways we can communicate. When you aren’t speaking, then you don’t have to reply immediately to what someone is saying. When you don’t have to reply, you have time….time to….listen. Typically, we have a conversation or argument or discussion, by half listening to the other person, gleaning just enough information to formulate our own response. We fire off a few rounds of sound argument, and then in the time it takes the other person to respond, we reload and prepare to fire as soon as they are done speaking. We are not focusing on the words being said, and the emotions attached to those words, we are simply waiting for the other person to stop talking so that we can start again. This is true within Washington, D.C., as well as the Church; Between family members and long time friends.Between children and parents, and Husbands and Wives. We have entire segments of the population who have forgotten how to listen; who believe they already know what the “other side” has to say, and they already disagree with it. People who would rather keep talking so they don’t have to listen. Listening is not only vital to communication, it is itself an act of love, honor, humility, and good faith. Week of Silence Day 3: I’m Not Crazy! While people who know me are still having a good time with my new “condition”, for me the novelty is wearing off. My children are starting to ask how much longer before I can talk again. My wife patiently walks through my fumbling hand motions and frustrated explanations. Today, without even thinking, I went through a drive thru, and when the voice came on asking for my order, I sat there….and then quickly drove away. I’m finding I tend to avoid situations that require too much interaction….it’s just easier to be alone than to try to explain that you’re not talking on purpose because of some guy in the bible. I was at a supermarket today when I tried to hand a lady one of the cards I made up explaining why I wasn’t answering her, and she waved me off like I was trying to sell her something. At least look at the card! I wanted to scream, I’m not nearly as weird as I look right now! I’m 3 days in…..Zechariah….9 months. Where was God going with this silence? Didn’t God see that not being able to talk didn’t just affect Zechariah, but everyone that Zechariah was connected to? With the rise of 24 hour news, and the hundreds of millions of people offering rambling opinions on multiple social media channels every day, silence is no longer golden, it has become a sign of weakness. It is no longer, “better to be silent and thought a fool….” Now you are a fool to leave any thoughts left unsaid – because surely somebody cares and wants to hear them. There are so many examples in my life of times when I needed to say something, to speak up and be heard. But there are just as many times in my life when the wisest, most loving, most honorable decision I could have made was to leave it unsaid, to stay quiet, and refuse to use my words to manipulate people, make much of myself, and little of the Jesus I follow. Week of Silence Day 2: I Don’t Want to Talk…. Last night it was our three children and I, for the entire night. Actually, it went pretty well. I find that our oldest, Evan, is not only very good at charades, but also enjoys relaying my instructions to His sisters, and making sure they carry out my bidding….we’re working on that. My Wife and I tried to make the most of conversation when she got home. I found myself speaking more frequently than I did throughout the day, but she throws in so many questions in the course of a conversation that it would catch me off guard. I wonder how many questions Zechariah’s elderly wife, now a mom-to-be, asked her aging husband? I wonder if Zechariah, found himself (as I do now) making bigger and bigger facial expressions, as if that would help His Wife understand the words He was trying to say? I imagine, after several months had gone by, Zechariah would simply sit next to Elizabeth, rest His hand on her stomach, and hold her close….sometimes, that’s the only communication you need. But with the guys in my office, trust me, that did not work the same way…. Today I did pretty well, navigating a conversation with my mechanic, and several voicemail messages without speaking. Usually, it’s when I don’t see an encounter coming, that I talk more; a random question, bumping in to someone at the gas station. It’s like if I don’t see it coming, I forget I’m not suppose to speak – it’s definitely not a habit yet. I miss speaking, communicating with words and interacting in a conversation. Sometimes the barrier can be frustrating. While silence is so important in a culture gone loud, it has also forced me to look at the words I choose to speak. I’ve been around several conversations, in which what I wanted to say, but couldn’t, wasn’t really worth saying. So many times what I would have injected into a conversation would only serve to make certain that I had the last laugh; or steer the conversation toward me, in a way that makes me look better than I really am. In some conversations, I don’t want to talk, I just want to have control. But in silence, you are no longer in control; no steering, directing, distracting or covering up. Maybe this is why, when we read about how we are to approach God, the recommendation in the Bible is often silence. It’s a reminder that we do not steer or direct or have control. Maybe this is what silence taught, Zechariah….I know it is what silence is teaching me. Week of Silence Day 1: I May have Made a Mistake…. I had one more conversation with our Children. We talked about Zechariah again and about what the next week might be like. Our middle child was concerned that if I couldn’t talk I wouldn’t be able to send her to the corner for bad behavior….I quickly reassured her that was not the case. They seemed to understand as much as they could with an almost, “Well that’s just Dad being Dad” kind of quality to their reactions. “I may have made a mistake” are the first thoughts I had this morning. Like most of the Spiritual Habits, the idea of them seems so easy, almost glamorous. I typically start Spiritual journeys with unrealistic thoughts like, “I’m going to read 12 chapters in my bible everyday….heck I might make my own handwritten copy of those twelve chapters, which is sure to help with my memorization of said chapters!” Or I tell myself, “I’m going to rise at 5AM, brew some General Foods International Coffee (remember that? in the little coffee tin?) sit in front of the picture window, and pray for an hour every morning. Then I actually start that journey and find it looks nothing like the picture in my mind. So when it came to being silent for a week, I thought, “What a great way to climb inside the story of Zechariah as well as explore a Spiritual Discipline that is rarely practiced in this culture. Then I woke up this morning, and any glamour was replaced with the reality that silence is hard. The kids did great for the most part. There was, however, one moment where I had to break up a dispute between the girls. So there I was snapping and clapping and clicking, all while dancing around, pointing my finger and mouthing words they could not understand. They stared at me….fascinated….the same stare they get when they stand at the glass wall of the monkey habitat at the Zoo. They don’t know what is going on in there, but all the jumping up and down and running all over is mesmerizing. Before I went silent, I made up some short videos of some of my most common phrases that I use on the children: “Stop please!” “Come upstairs it’s time for dinner!” “Time to brush your teeth!” “Don’t put anything in your nose but your elbow!” I haven’t decided if this is cheating or not so I’m not sure if I will use them. Something that is cheating is an app I found for my phone, that allows you to text, and then turns that text into an audible voice. You can even change the voice to a guy with an English accent. I think the assistants enjoyed it….it was like listening to Hugh Grant talk all day. I probably won’t use that on a regular basis. The rest of the time I communicated through emails, texts, and head nods. Today was our staff Christmas lunch, and as you can imagine, I made for horrible company. But those at my table were gracious and had some fun with my situation. I accidentally spoke on several occasions, usually when someone would ask me a question and I would simply react. It’s like when the power goes out at your house, but you still turn on the light switch every time you walk in to a room. I did have some small cards made up that explain what I’m doing that I can hand out to people I run in to in public (like our waitress, who after reading the card, referred to me as “the mute guy”). I wonder what it is, specifically, that we fear about being silent? Why is silence to be avoided? I’d love to hear your thoughts on these questions. But, Penny, if you’re reading this….I look forward to listening to you talk all about your day when you get home….and not just because that’s all I can do!